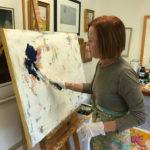 Valerie Lennon specializes in conceptual expressionism using oil and acrylic paints. 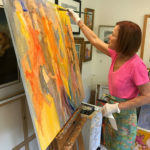 Color is the core of Valerie's work. 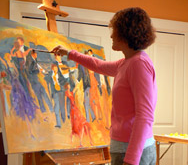 She uses varying brush strokes, juicy applications of paint and sizzling complementary colors. 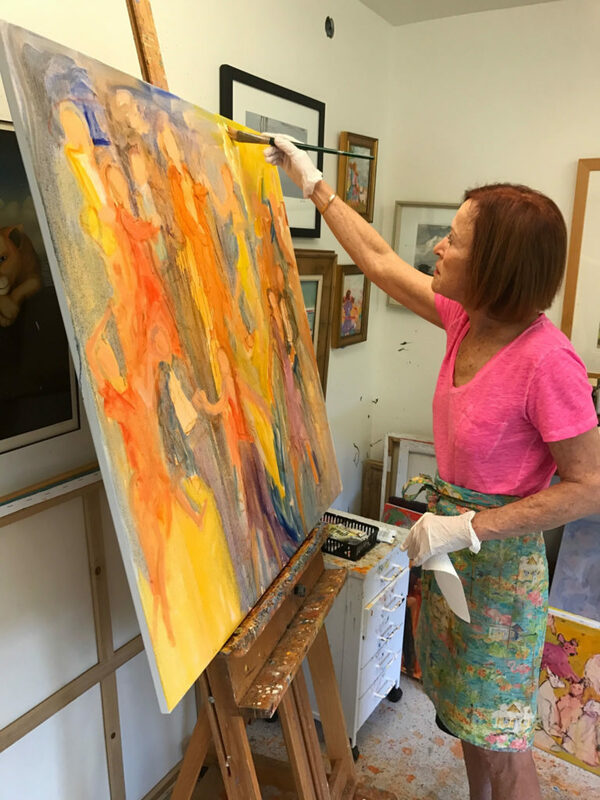 Valerie's paintings are filled with joy, humor and happiness. 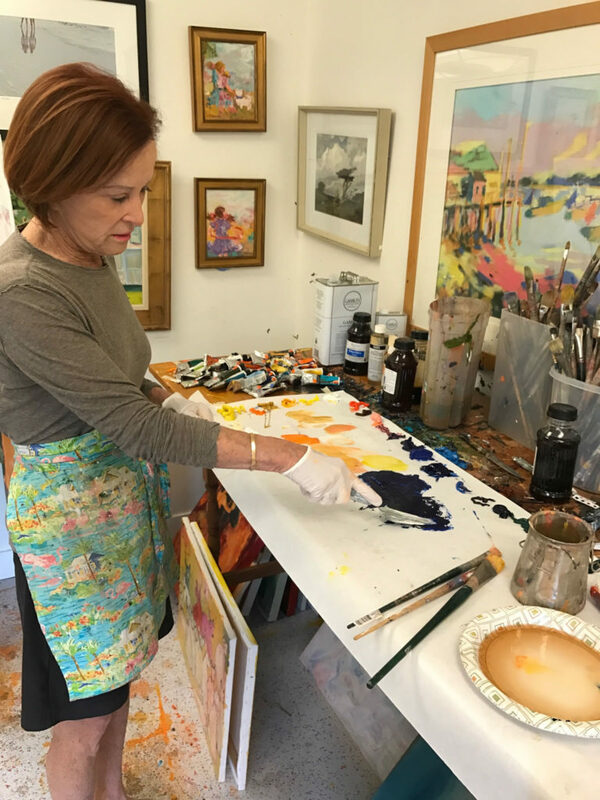 Valerie studied art at the University of Miami and the Atlanta College of Art, and has enjoyed exhibitions of her work across the country since 1997. 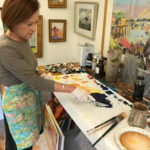 Her work has been featured in Atlanta Magazine, Southern Living and Art in America. 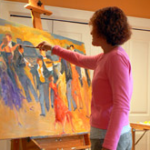 "My figurative paintings are stories, memories, and moments in time. 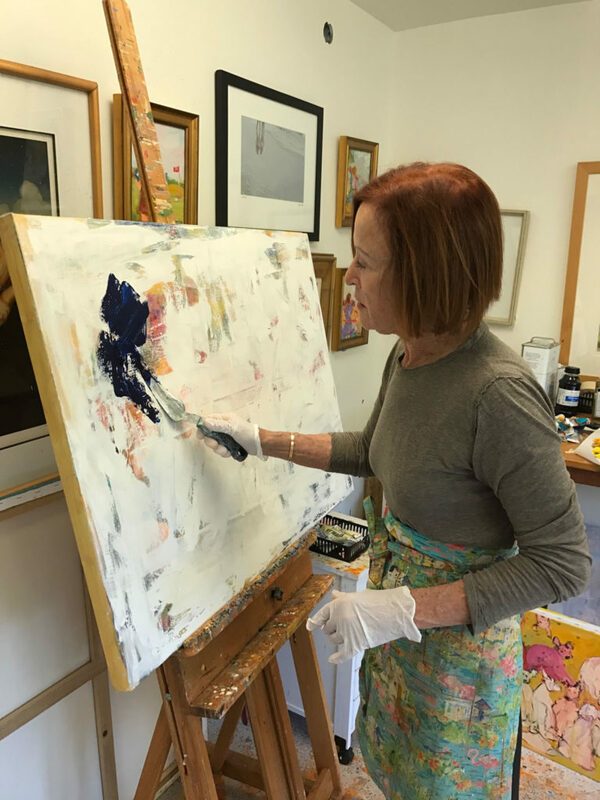 I am inspired by Matisse who spoke to these moments in his masterpieces, with features not being the important part of painting. I let you, the observer, be a part of the creative process using your unique imagination."